What makes Westview Manor great? 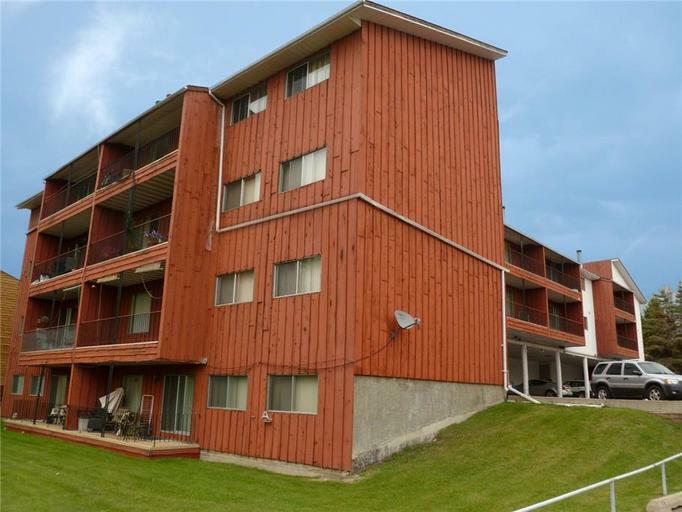 This beautiful low-rise building features large spacious 2 bedroom suites with 1-1/2 bathrooms. These upgraded suites, some with functioning fireplaces, include dishwashers, in-suite laundry, and a large balcony or patio. Residents can also rely on our friendly on-site professionals to keep the building well maintained. No dogs, cats only with $250 non-refundable deposit. Who lives at Westview Manor? This adult-only building overlooks a beautiful tree-lined ravine. There is convenient access to the hospital, college, shopping, and restaurants. Bower Place, a large shopping mall, is just 5 minutes from our building. You'll also find grocery stores, banks, convenience stores, and pharmacies in the immediate area. Area recreation includes Rotary Park nature trails, Kinex Arena, and the Red Deer Curling Centre. Other community interests include Carnival Cinemas, Red Deer Golf and Country Club, and Westerner Park. Westview Manor is a short distance from Highway 2 and a quick walk from a major transit stop for convenient access across the city.